Man Mountain loves effects pedals and on their latest album Infinity Mirror they all used the legendary ProCo RAT pedal heavily. Now, we're giving you the chance to win a one-of-a-kind pedal that was personally hand-soldered and built with an unmatched level of care by the band. It's a faithful recreation of the famous RAT, but with much higher quality components and true-bypass switching. 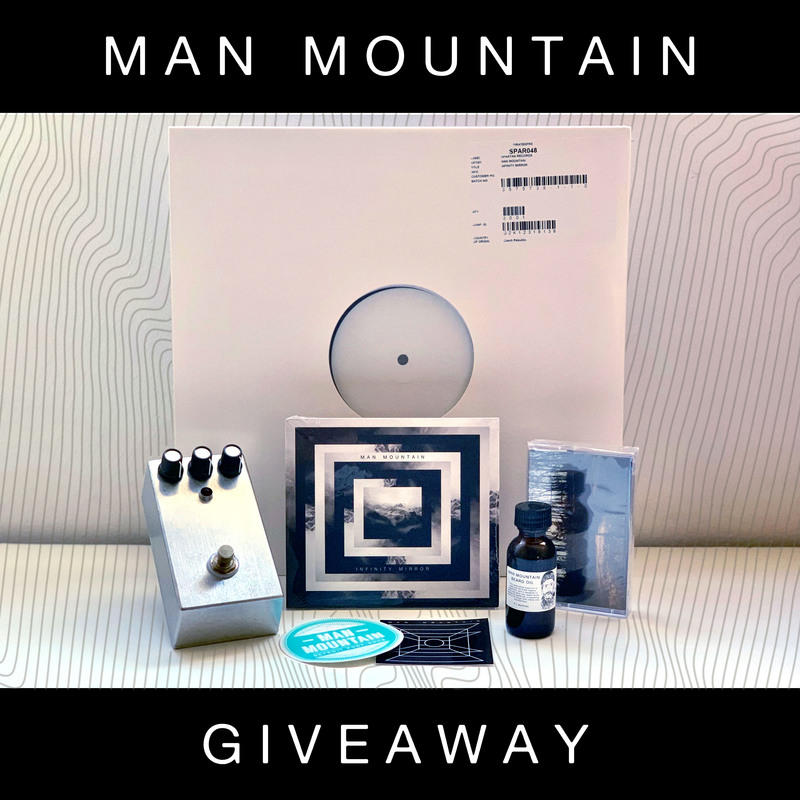 Enter to win the pedal, a rare Infinity Mirror test pressing, Man Mountain beard oil, and much more here. Contest ends January 11th! We’re dropping a brand new 2-song EP from Demons entitled Made In The USA this Friday, October 19th/ Listen to the premiere of the scorcher "Lever" (mixed by Nathan Hussey of All Get Out) which Revolver calls "a six-minute trip through hell and back" and catch them on tour this month to FEST later this month! The new album from Subways on the Sun Capsize comes out everywhere next Friday. Watch the lyric video for the song "Know It All" and get an instant download of three new songs now when you pre-order the album on limited edition vinyl here! Frontman Erick Newbill says, "'Know It All' sums up a lot of what we were processing internally as we wrote songs for this album. While not isolated to this point in history, we live in a time where people are so polarized, convinced that what they think or feel is the only possible path. We are surrounded by strong opinions from individuals and groups that are unwilling to waver, most of us even being guilty of this ourselves at times. None of us truly know it all, and could benefit greatly from taking more time to listen to each other and find common ground instead of trying to drown each other out." American Opera, the creation of Brooklyn via Saginaw, Michigan singer-songwriter John Bee, has announced new fall tour dates. 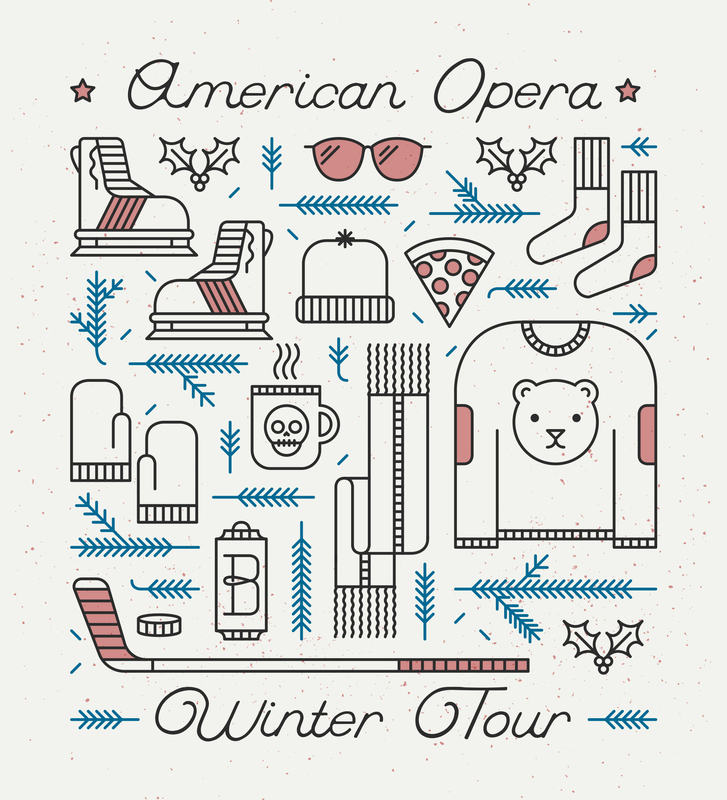 Check out a full list of dates below and for tickets and more info, visit americanopera.net. Listen to the new Subways on the Sun song "Just To Be With You" which PopMatters calls "powerful, guitar-driven pop that recalls the best of early Jimmy Eat World, Mew, and Muse." The song comes from the band's new album Capsize which will be available everywhere on September 21st. Pre-order the album on limited edition vinyl to get an instant download of two songs now! Shy, Low is headed to Europe for the first time ever this October. If you live there, you should be very, very excited. Make your plans to go to a show and take a few friends with you. Earlier this year, we self-titled album from Austin, Texas' math rock masters, Honey and Salt, and the album has been met with high praise -- not only for its impressive demonstration of musicianship and songwriting, but also for its socially conscious lyrics that explore the challenges of an individual trying to make an impact in the face of our dark political climate. Today, we're excited to premiere the new music video for the song "Oyster" at The Alternative. If you're in the midwest, don't miss the band on tour all this month! The annual Spartan Summer Sale is going on now! Take 30% off just about everything through the end of August when you use the discount code SUMMER18. Plus, we’ll even throw in free stuff with every order, so you can't lose! As always, your support is what keeps us going and we can’t thank you enough for that. Happy shopping! 12/29 Win a One-of-a-Kind, Handmade Effects Pedal from Man Mountain! 12/03 Welcome The Darling Fire to the Spartan Family! Debut Album "Dark Celebration" Out Summer 2019. 10/15 New Demons EP "Made In The USA" Coming 10/19. Listen to the New Song "Lever" at Revolver. 09/21 New Subways on the Sun Album "Capsize" Available Now! 08/14 Shy, Low European Tour This October!